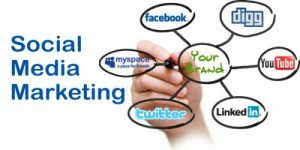 Social media marketing is the process of promoting your business through social media channels and it is a powerful strategy that will bring attention to your products or services; massive amounts of traffic to your firm, your website or a blog; and a tremendous opportunity for increased revenue. There is no other low-cost promotional method out there that will easily give you access to the large numbers of prospective customers for your business. Social media marketing will increase sales and customer retention through regular interaction and timely customer service. In the 2015 Sales Best Practices Study from research institute MHI Global, world-class companies rated social media as the most effective way to identify key decision makers and new business opportunities. In the State of Social Selling in 2015, nearly 75 percent of companies that engaged in selling on social media reported an increase in sales in 12 months. In the past, marketers faced the challenge of ensuring their content reached customers in the shortest possible time. With the help of social media, specifically, when it comes to sharing content about your business or for content curation, all you need to do is share it on your brand’s social network accounts. A long time ago, when social media was the new kid on the block, Google noticed that people were sharing content they liked on their Facebook or Twitter accounts. So now search engine crawlers also consider social shares as backlinks. All this means is that a well-planned social media campaign can now help you rank well in the search engines. Are you ready to start reaping the benefits of social media for your business? visit www.MySocialAccounts.com for more information they offer social media management.